After studying architecture in his native Argentina, Saunier left for France to pursue a career and studies in art. He landed himself in Paris where he apprenticed at the famous Atelier 17 in Paris and learning printmaking under Stanley William Hayter. Saunier impressed Hayter and eventually became co-director of the renamed Atelier Contrepoint upon Hayter’s death in 1988. Saunier’s style owes a lot to Hayter, though his application of themes and colors is uniquely Saunier. Mango highly mimics the linear abstractions of Stanley William Hayter. 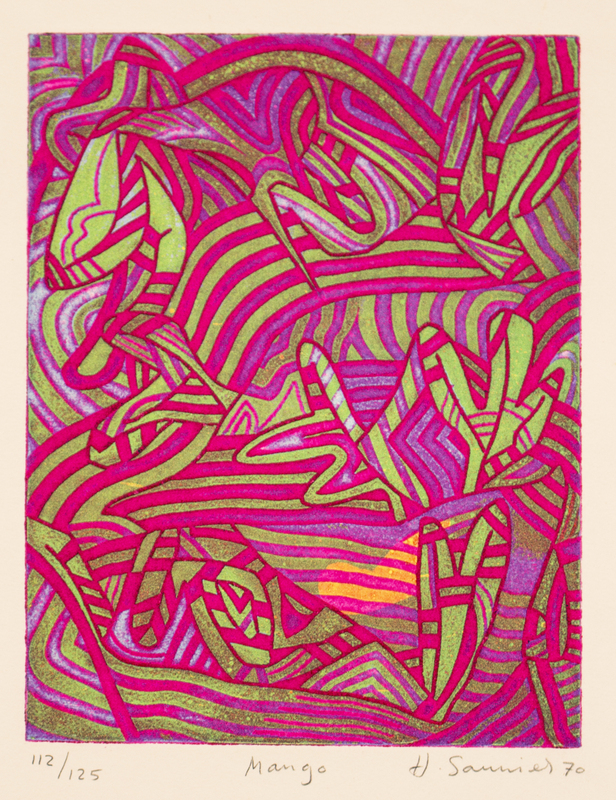 In Mango a non-representational hand-colored etching of wavy bands of green, magenta and blue-violet that undulate through the image. Occasionally the bands directly overlap and collections of bands gather to form shapes. 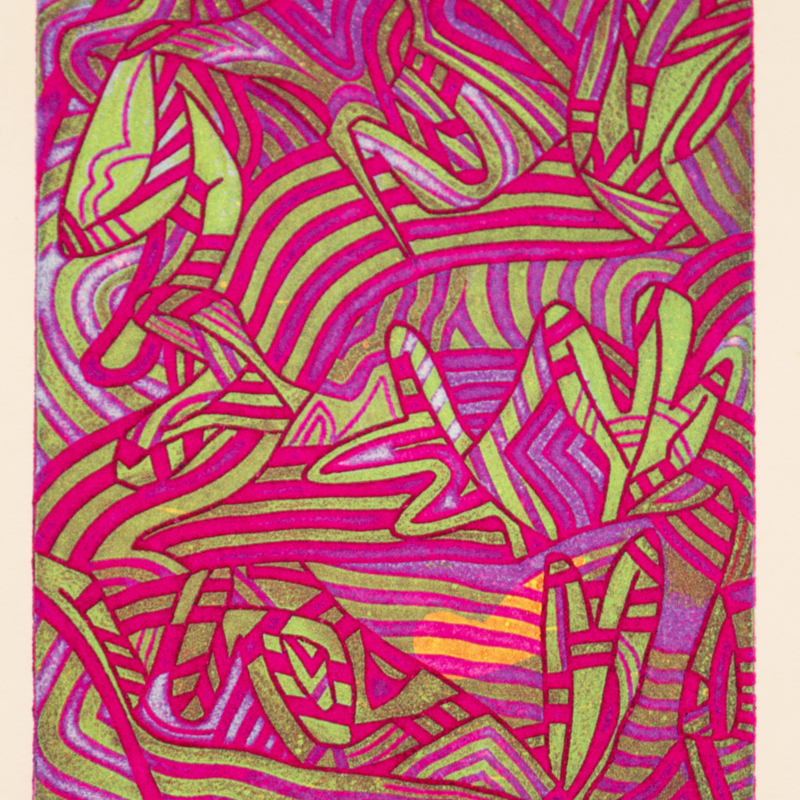 These shapes-bands overlap and tessellate in space, creating some depth to the image. The movement of the shapes, the colors, and the title invoke a warm, almost Tropicália, feeling in a fusion of international artistic trends and South American themes. Hector Saunier (Buenos Aires, Argentina, February 21st, 1936-), “Mango,” Cunningham Memorial Library Digital Exhibits, accessed April 25, 2019, http://omeka.indstate.edu/document/3017.